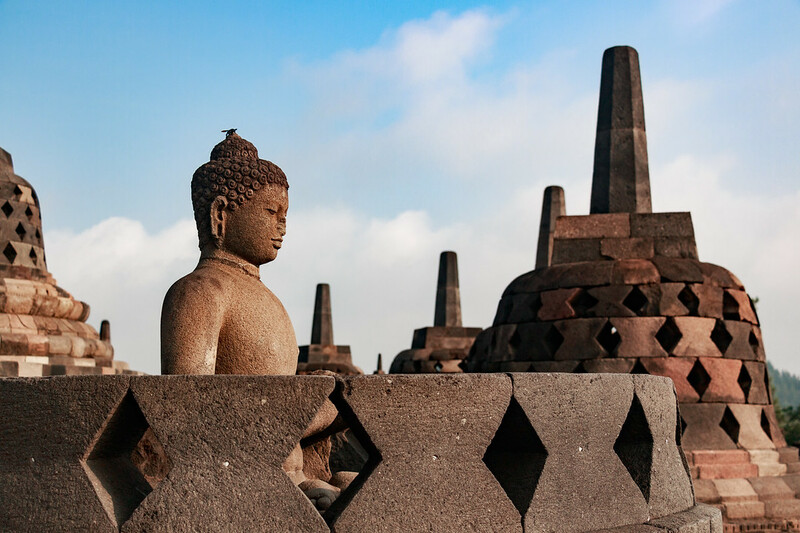 Centrally located on the island of Java in Indonesia, Yogyakarta is used by many travellers as a base to visit Borobudur and Prambanan Temples. Indonesia was a big part of our webseries, Expedition 100, and Yogyakarta was for us the start of our itinerary in this beautiful country. Filming Season 1 Episode 3 took us to places like Mount Bromo and Mount Ijen, but also Borobudur and Prambanan Temples. Since Indonesia is a big country, a lot of travellers stay only for a short time in Yogyakarta. This artistic city is not only about Borobudur and Prambanan temples but has also a great numbers of places to visit and things to do. It would be a shame to miss out on the many attractions the city has to offer so if you’re planning a visit or looking for travel inspiration and advice, here is a quick travel guide to Yogyakarta with detailed infos, photos and video. 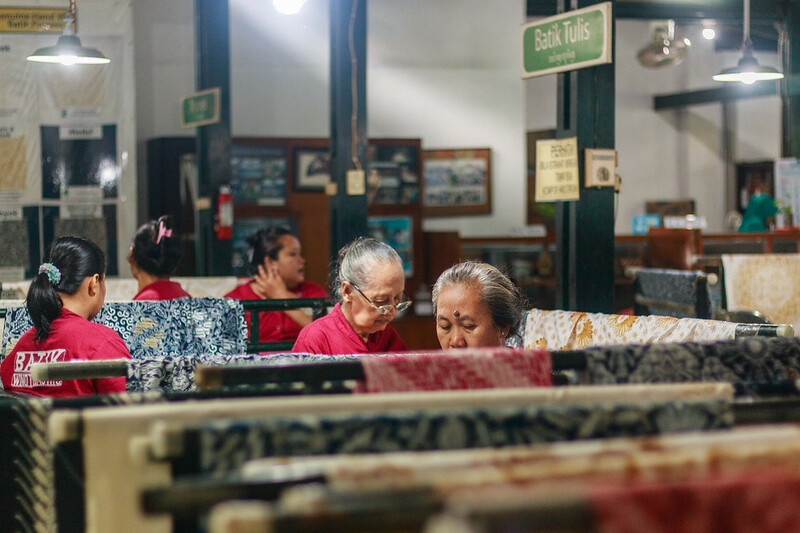 The art of batik is typical from Indonesia. 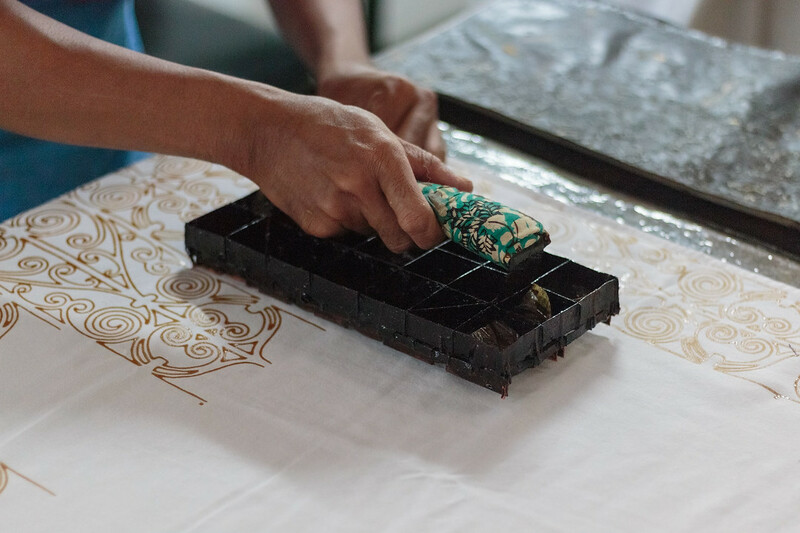 You will find many Batik workshops in Yogyakarta to buy from but also to visit, we visited Batik Winotosastro workshop. 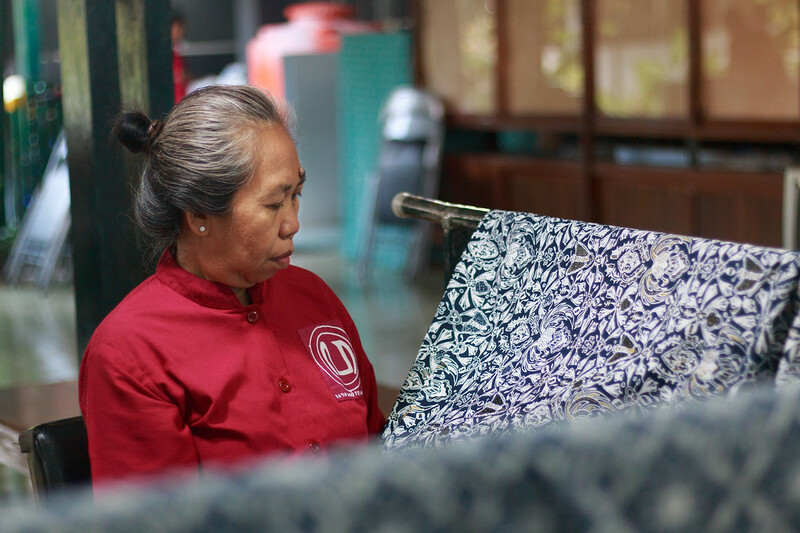 Usually the visit lasts 2 hours : you get a guided tour of the workshop with the whole creation process explained and you get to make your own batik. Immerse yourself in one the crowded and colourful markets of Yogyakarta. 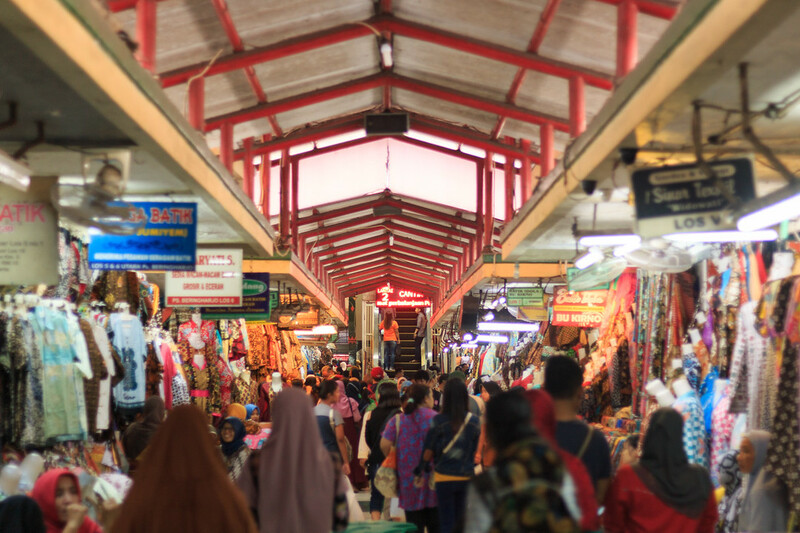 Pasar Beringharjo is one of those markets you could get lost in, looking at all the clothes, fabrics, incense and decorations sold there. You can buy pretty much everything there and bargain your prices. 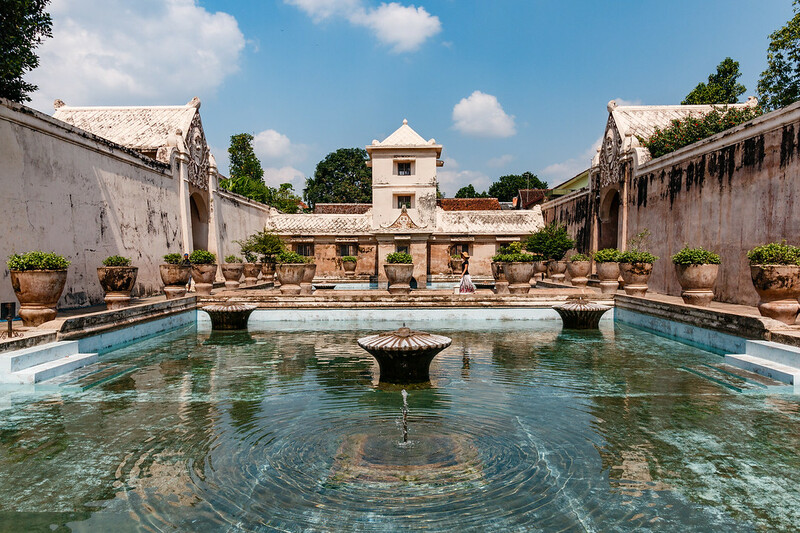 Taman Sari known as Water castle is a really cool place to visit in Yogyakarta. It is located in the former royal garden of the Sultanate of Yogyakarta. The castle compounds are quite large, don’t miss out on the underground mosque. 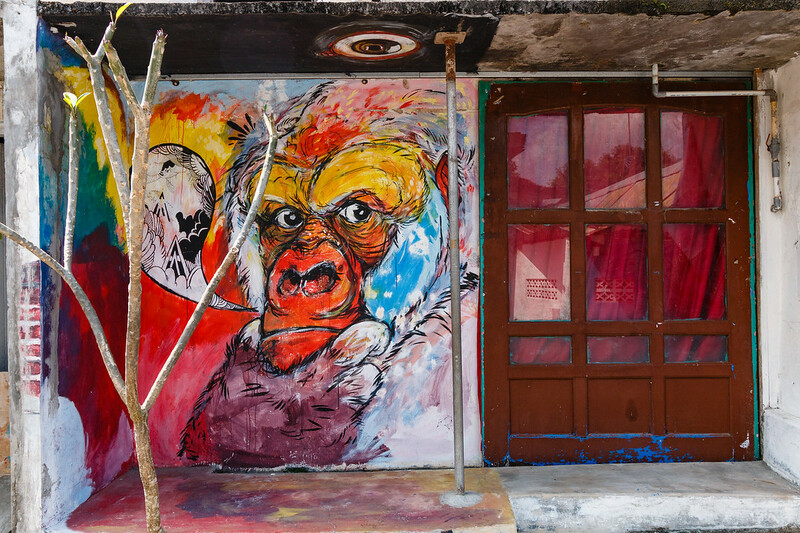 Yogyakarta is quite the artistic city as many streets are decorated with wall art. 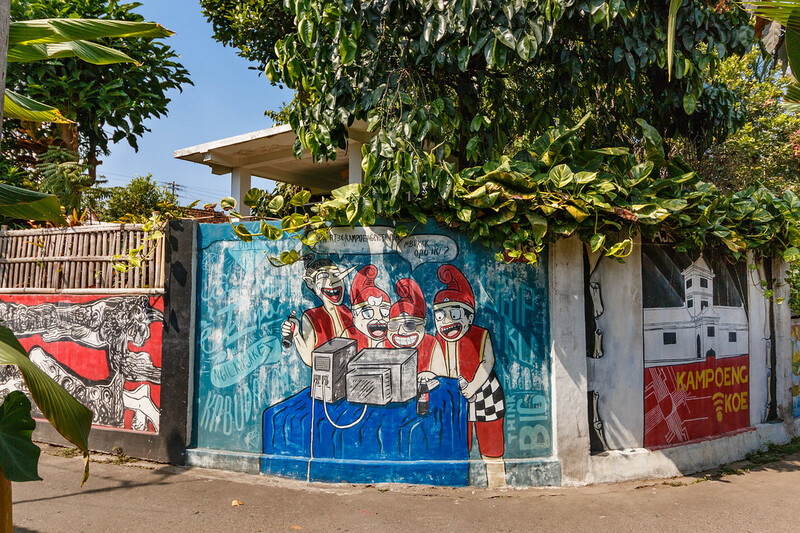 We happened to drive through Kampoeng Cyber (Kampoeng means village) and walk past some amazing street art. It is really close to Taman Sari. 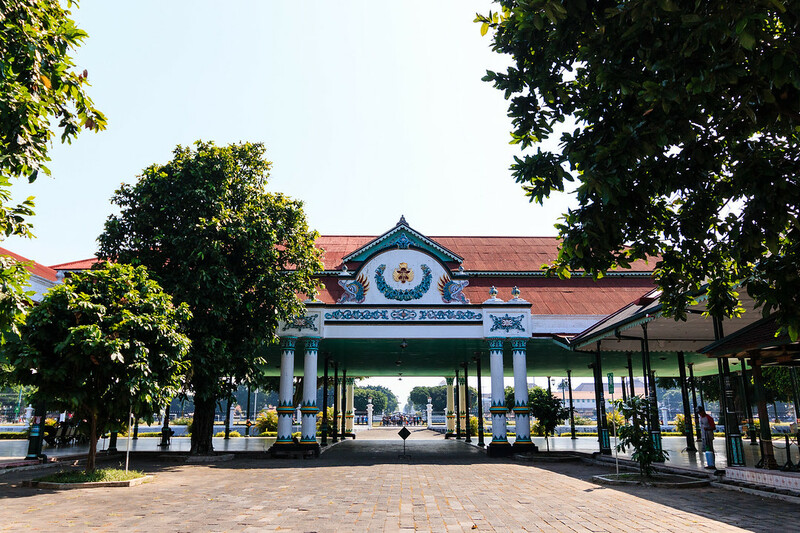 The Kraton, also know as Keraton or Karaton, is the Royal Palace of Yogyakarta. It is currently the official residence of the royal family and is open for visitors. 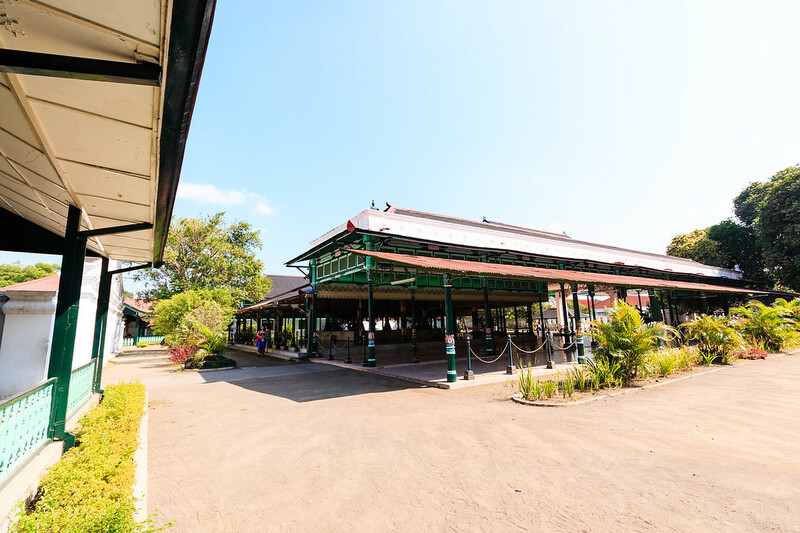 We visited the Kraton mainly because of the performances happening every mornings in the inner pavilion, but we visited during Ramadan and everything was cancelled. Opening hours : 8.30am – 12.30 pm. 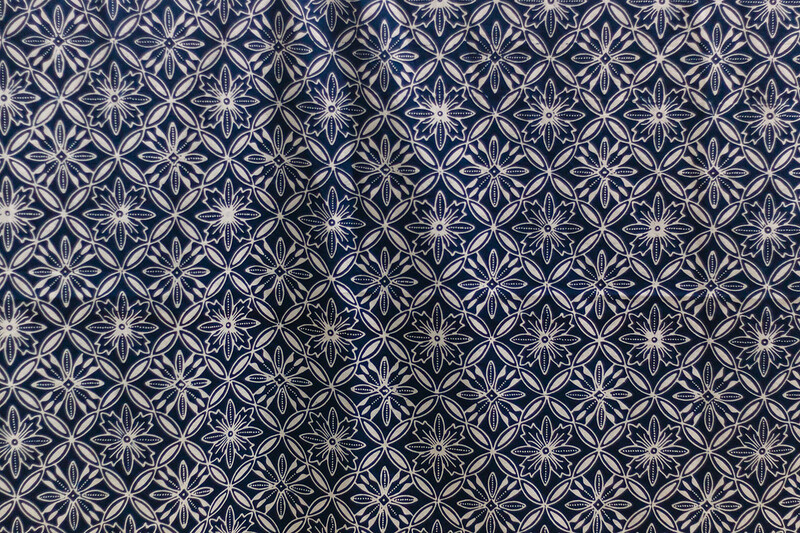 Fridays & Saturdays : closes at 11 am. Closed on National Holidays and for special ceremonies. Borobudur temple is the world’s largest Buddhist temple and probably the most famous location in Indonesia to watch the sunrise. Located about an hour and a half away from Yogyakarta, it is definitely a must do while in Indonesia. 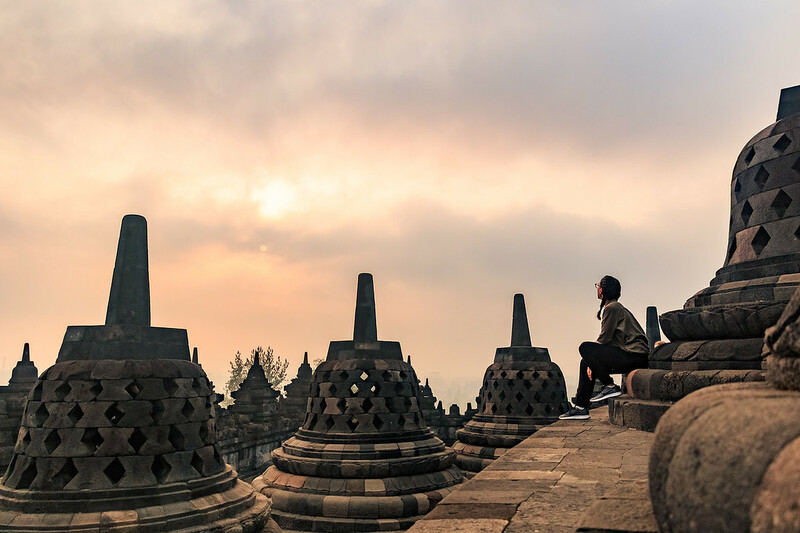 We tell you all about our experience there in our Borobudur Sunrise Tour DIY post, check it out ! 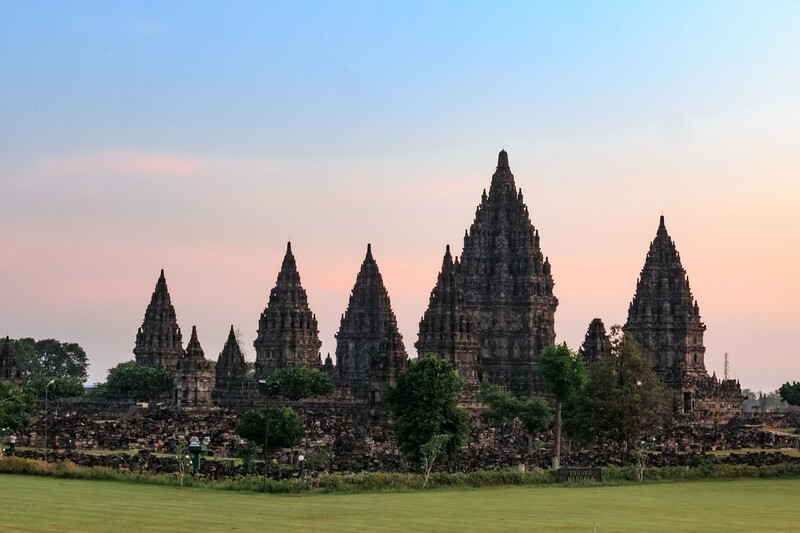 Borobudur might be the largest Buddhist temple in the world, well Prambanan temple is the world’s largest Hindu temple ! And it is located right outside Yogyakarta city centre and it is a must do in Indonesia, especially at sunset. 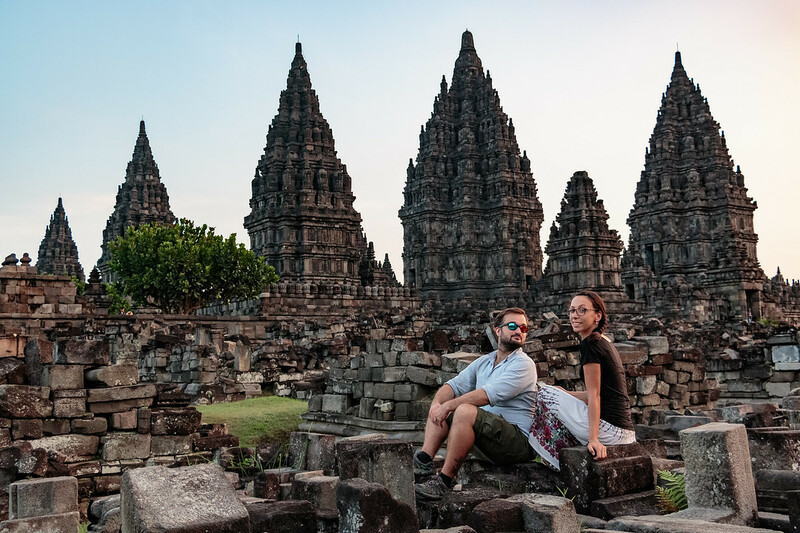 Check out our post on Prambanan Temple ! 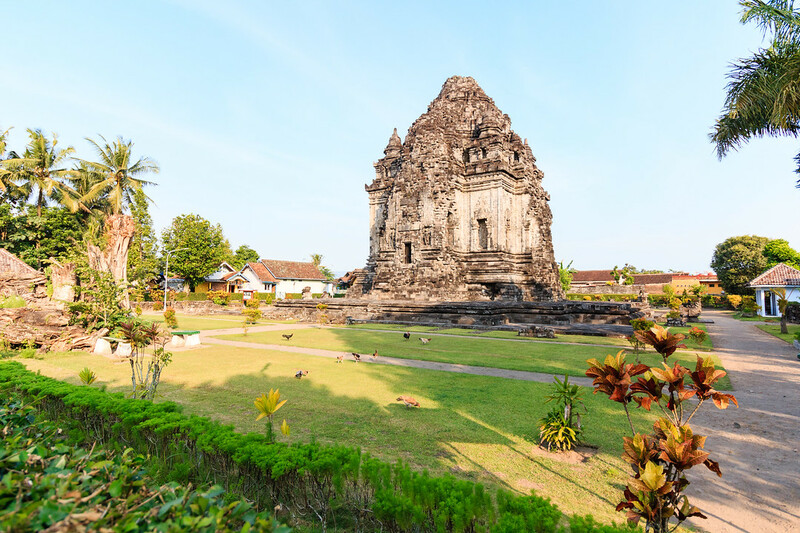 If you have more time on your hands and are passionate about temples, you might want to pay a visit to Kalasan Temple, on your way to Prambanan. This small temple is well preserved and free to visit. There are many other temples to visit in Yogyakarta, I couldn’t list them or nor could we visit them all ! Many travelers stay in Yogyakarta and then drive to Borobudur early in the morning, or book a tour which includes transportation. There are plenty of good hotels and guesthouses in Yogyakarta, at a much better value for money than the ones nearest to the temple. But know that if you choose to do your sunrise tour DIY, you will have to wake up between 3am and 4am and drive for at least 1 hour and a half. 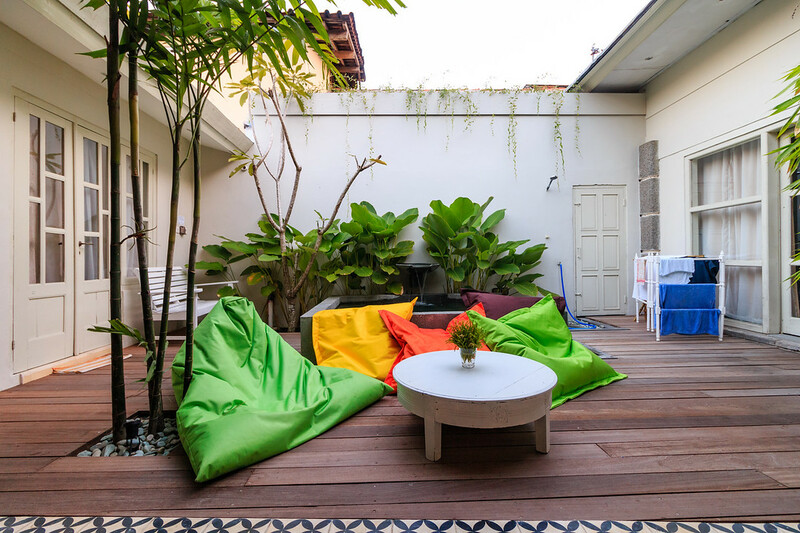 This well designed and recently renovated Indonesian home is stylish yet affordable. The service at the Patio was as friendly as it can get. And they even have a small plunge pool. They have dorm rooms, 1 double room with shared bathroom and 1 double room with ensuite. Check out their prices and availability on Agoda, and their reviews on Trip Advisor. If you haven’t tried Airbnb yet, you can enjoy a discount if you sign up here. Happy Buddha is centrally located, close to many restaurants and services like scooter rentals and tour companies. The guesthouse has a community feel to it, with simple private rooms with shared bathrooms and lovely private rooms with attached bathroom. Yummy pancakes every morning served with a smile. And, the icing on the cake, a free fish spa ! Check out their prices and availability on Agoda, their reviews on Tripadvisor. This eco friendly boutique hotel tempted us with its stylish yet green interior design, still offering affordable accommodation. Check out their prices and availability on Agoda, their reviews on Trip Advisor. 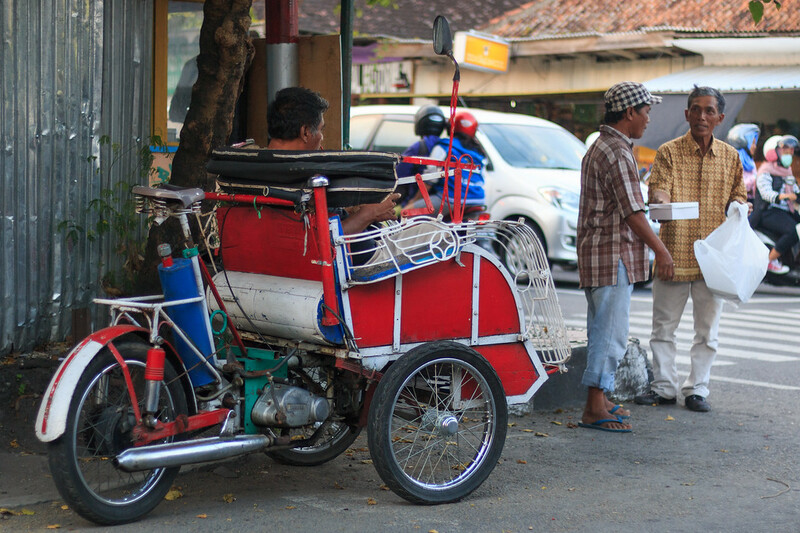 When you see “warung” it means you’re going to eat local with the locals. 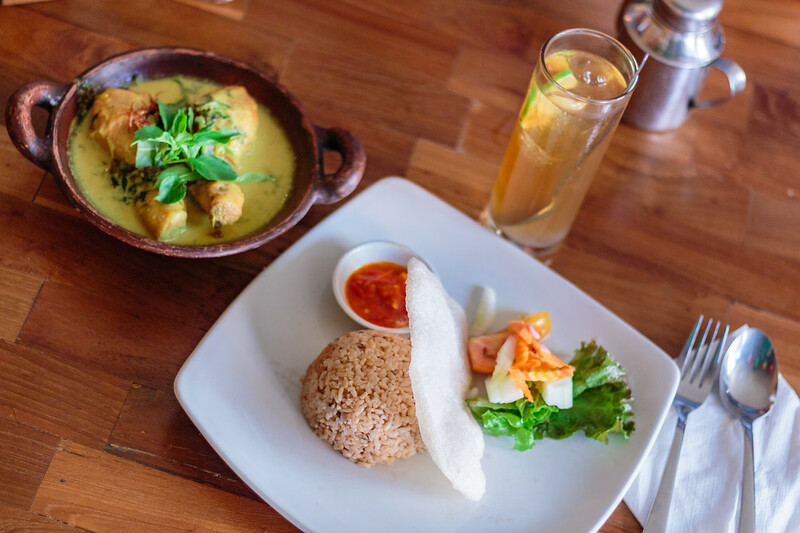 It’s a great way to give a try to traditional Indonesian food. Warung Bali Putra was our go-to favourite budget place to eat in Yogyakarta. It is so cheap and so good we ate there so many times we were almost regulars. It is actually a Balinese warung, but they serve all kinds of dishes. Our pick : Nasi Jinggo and Sate Lilit, mouth-watering ! 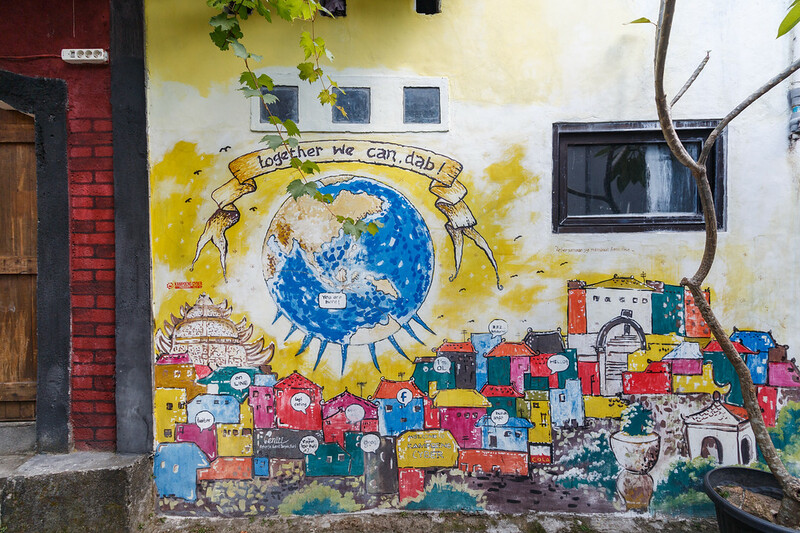 ViaVia is a guesthouse, fair trade shop, tour company, bakery and restaurant. They serve a mix of local and western food, all made from locally grown products. The terrace upstairs is lovely, the service was friendly and their wifi works great ! Prices are quite affordable from Western standards. We rented ours with Kinara rentals for 50,000 IDR per day. Unfortunately, they didn’t have any 125 available. For visitors going to Borobudur temple from Yogyakarta in one day it will be enough to have a 110 or 115. But in our case, we were going to spend at least 2 nights there, and carry A LOT of heavy photography and videography equipments with us. And we are heavy. ‘Cause, you know, we like to eat a lot ! If you’ve never used Uber in Asia before, I am about to change your life forever. We all know the hassle of having to bargain with tuk tuk / tricycle drivers every time we want to go somewhere, not knowing if we’re paying the right price or not. In most big cities in Asia, you can easily go around, even for short distances using the Uber app. Indonesia’s best invention : Go Jek. Same service than Uber or Grab but with more perks. The app offers also services such as Go Food, which will become your best friend during cosy evenings where you don’t even want to get out of your hotel room. Just order your food on the app and it’s delivered to you for a very small fee ! You can get around Yogyakarta by using Trans Jogja. Buses run from 5.30am to 9.30pm. Single trip tickets cost 3,5000 rp per trip, they can be purchased at any stop, they are valid for 1 hour and you can change buses as long as it’s within one hour from the beginning of your trip. Regular tickets cost 2,000 rp, you can purchase them at POS location and can be reloaded. Most nationalities are granted a Visa exemption of 30 days free of charge. Check if your nationality is part of this scheme here. Visas exempts cannot be extended. All visitors must have a passport valid 6 months after the date of arrival in the country. 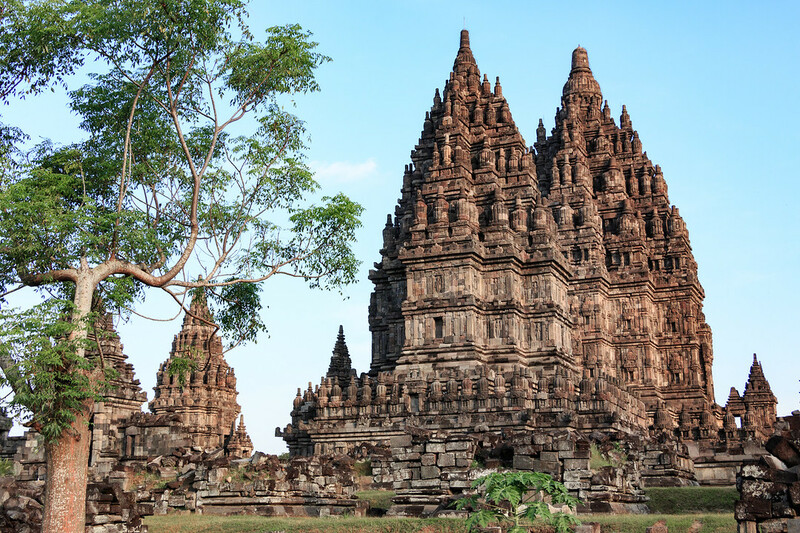 You can apply for a 60 days extendable tourist visa in any Indonesian embassy. Get more info on the Indonesian Ministry of Immigration website. Be careful, some ATMs will charge a processing fee whilst others will not. It is subject to changes. Rain season from May to October, dry season from November to April. January has the most rain and July is the “colder” and dryer month of the year. June is the best time to visit Indonesia because nature is still green from the rain and prices are not too high. Keep in mind that because Indonesia is such a large country, climate and temperatures can be very different from one place to another. If you plan on going to mountainous regions, like Bromo, it can be very cold at night and early mornings.